The international efforts continue to expand, and Startup Safary now organizes annual events in several locations, including Bulgaria, Poland, and Greece. They are always looking for additional cities that want to have Startup Safary events. Because I was late to the game, I purchased a “Last-Minute” ticket for €5, which allowed me to attend up to three events of my choice. Given that it was only a few days before the start of the event, many of the most desired events were completely filled. That doesn’t mean I suffered with the leftovers. I attended three events that were extremely informative and useful – and that allowed me to network with attendees and hosts. 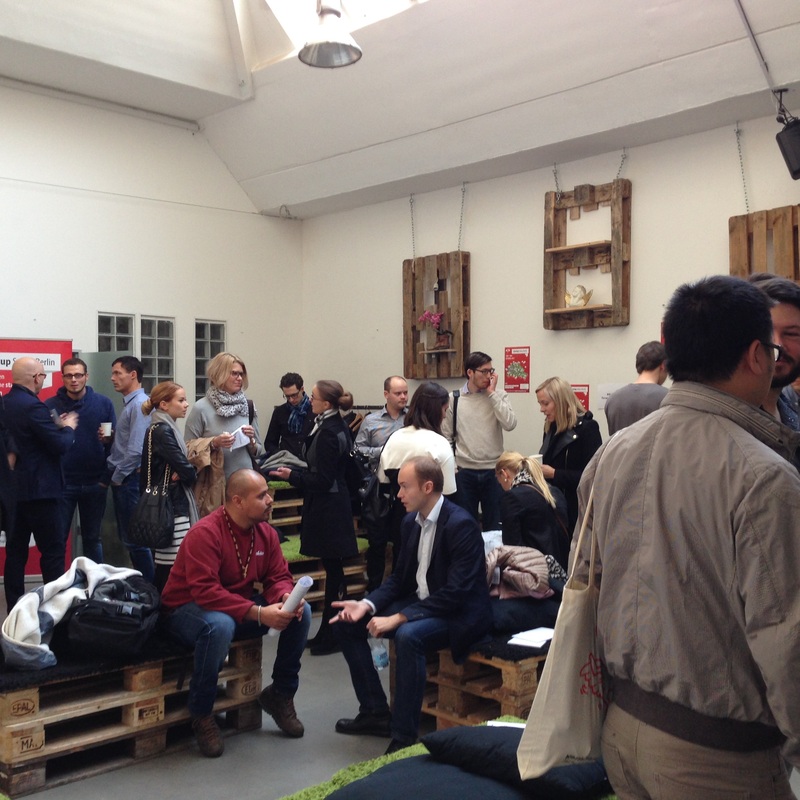 The first event I attended was the official kickoff, on 28 October, by Maciek Laskus, co-founder of Startup Safary. His presentation was titled “How we’re taking over the world: On the path to 1,000 cities” and related a brief history of the organization, as well as the background on why there was a need for something like this event. Laskus mentioned that ‘Talent’ and ‘Capital’ are both required in order to get things done. Some countries have a lot of talent but not a lot of capital. Some have a lot of capital, but require more (or specific types of) talent. Specifically, he mentioned countries that have a lot of talented developers, but who need talented folks with marketing skills and excellent English-speaking skills. It doesn’t matter how great your widget is if you are not able to spread the word about it. With regards to the “new model” that is blooming – the startup model – Laskus said that there will always be a need for both startups and big corporations. While big corporations may be great at establishing distribution channels for ideas and products, the economy needs startups that are good at developing innovation and creating new ideas. It is not an “either or” situation. More talent – As mentioned before, some places have a lot of one type of talent, but need more of a different type of talent. More people are needed in the startup ecosystem for it to grow. Stronger communities – Bringing more talent into the ecosystem is great, but more relevant connections are also necessary to build stronger communities. Connect ecosystems to each other – Growing individual ecosystems is one step, but there must also be ways to connect ecosystems to each other. 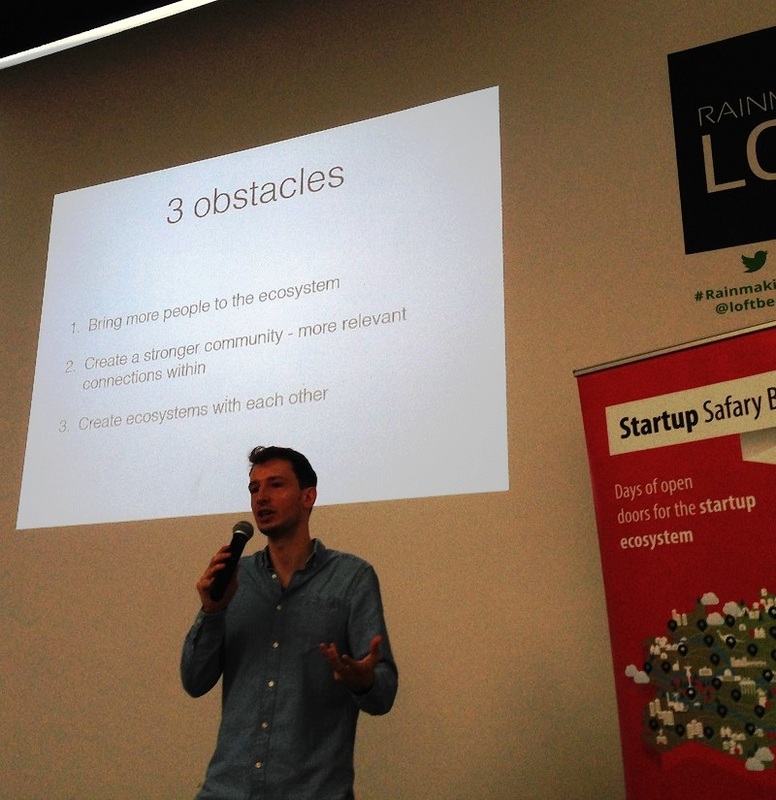 By opening the event with a presentation at the Rainmaking Loft – an international startup hub that aims to support and grow local startup communities – Laskus reinforced this notion of strengthening the startup community. In my next blog post, I will cover the event I attended at the offices of REMERGE, a business that helps increase revenues for apps.